Many bolt heads and nuts are hexagonal (six-sided) in shape. 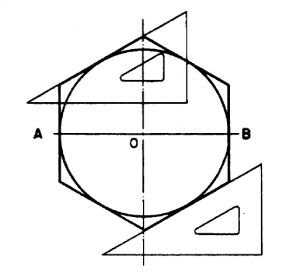 Figure 4-26 shows a method of constructing a regular hexagon in a given circumscribed circle. The diameter of the circumscribed circle has the same length as the long diameter of the hexagon. The radius of the circumscribed circle (which equals one-half the long diameter of the hexagon) is equal in length to the length of a side. 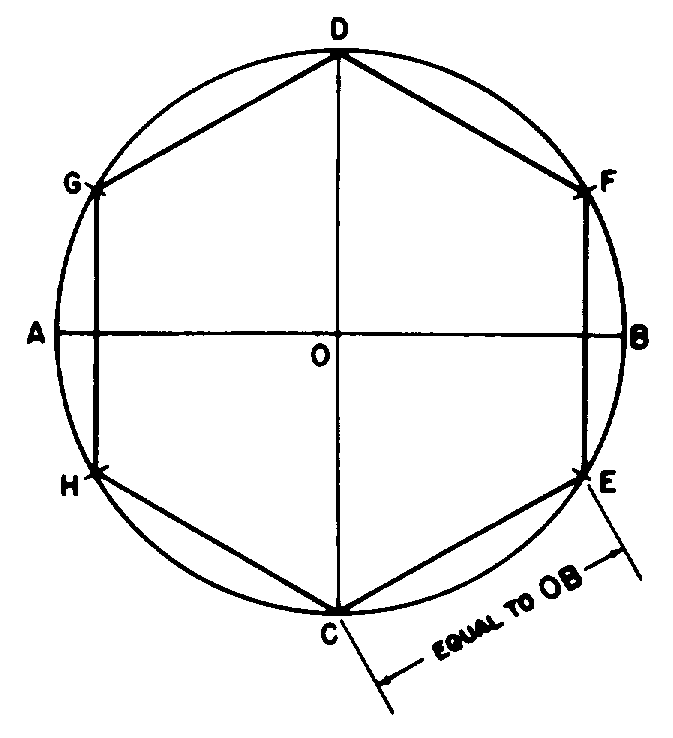 Lay off the horizontal diameter AB and vertical diameter CD. 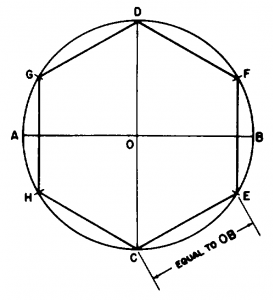 OB is the radius of the circle. From C, draw a line CE equal to OB; then lay off this interval around the circle, and connect the points of intersection. 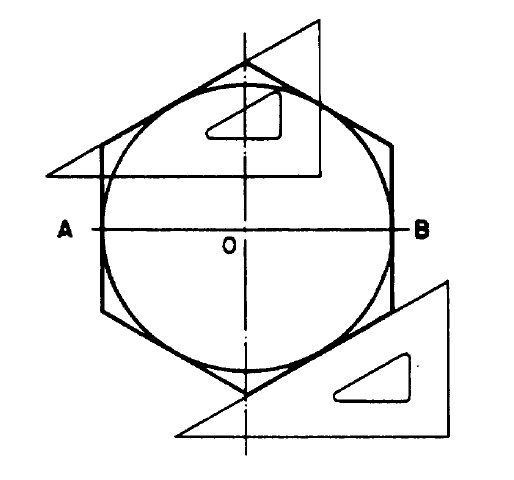 Figure 4-27 shows another method of constructing a regular hexagon in a given circumscribed circle. 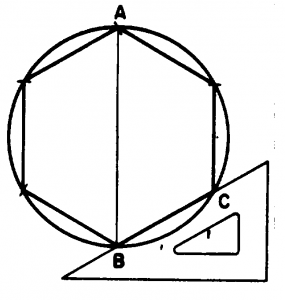 Draw vertical diameter AB, and use a T square and a 30°/60° triangle to draw BC from B at 30° to the horizontal. 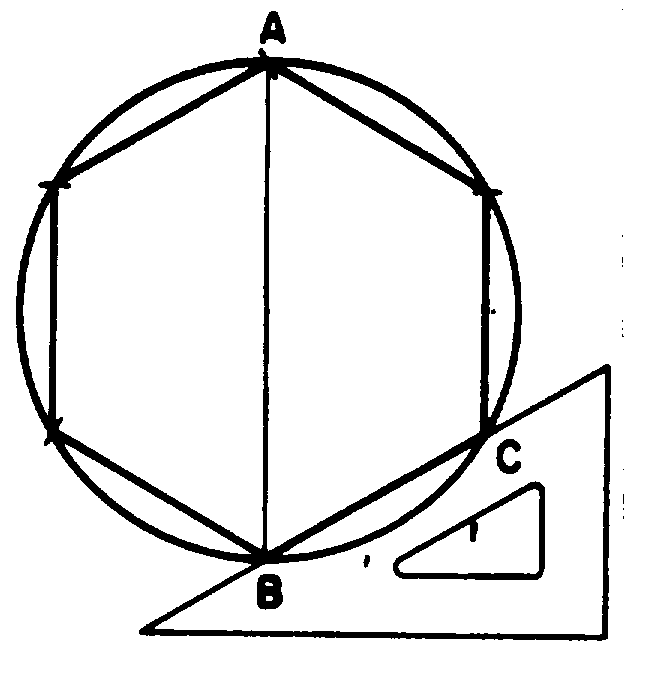 Set a compass to BC, lay off this interval around the circumference, and connect the points of intersection.